These functions create very generic streamline plots. 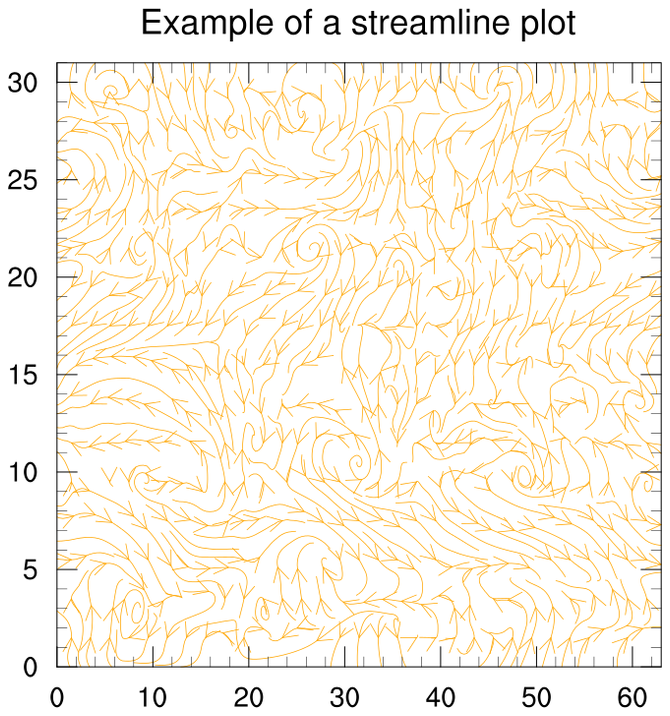 See the "streamlines" examples page for more customized streamline plots. 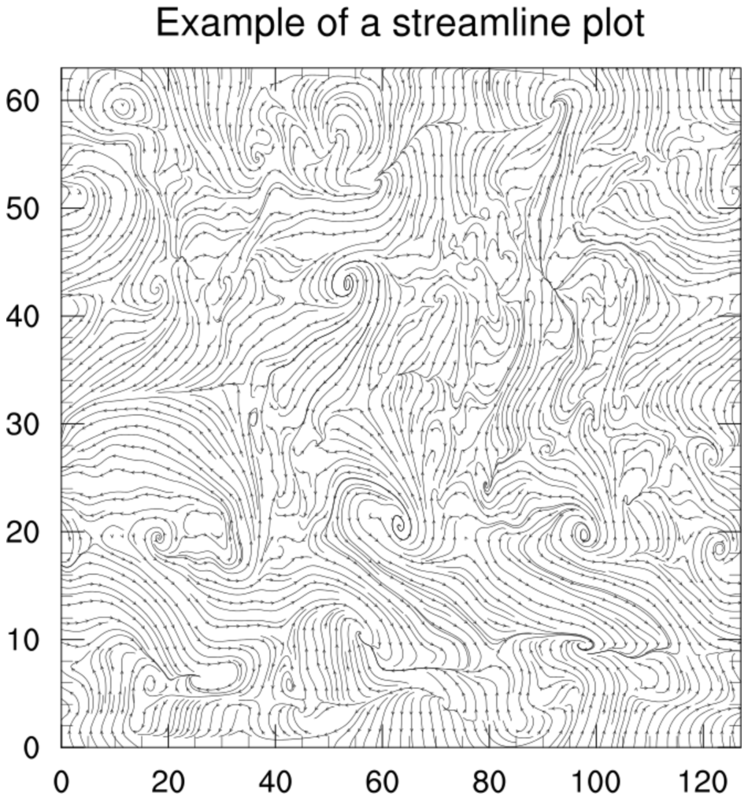 gsn_streamline is the generic plot interface that creates streamline plots. gsn_stream_2.ncl: Changes the color of the streamlines and tweaks the arrow sizes. stArrowLengthF = 0.015, Changes the size of the arrows. 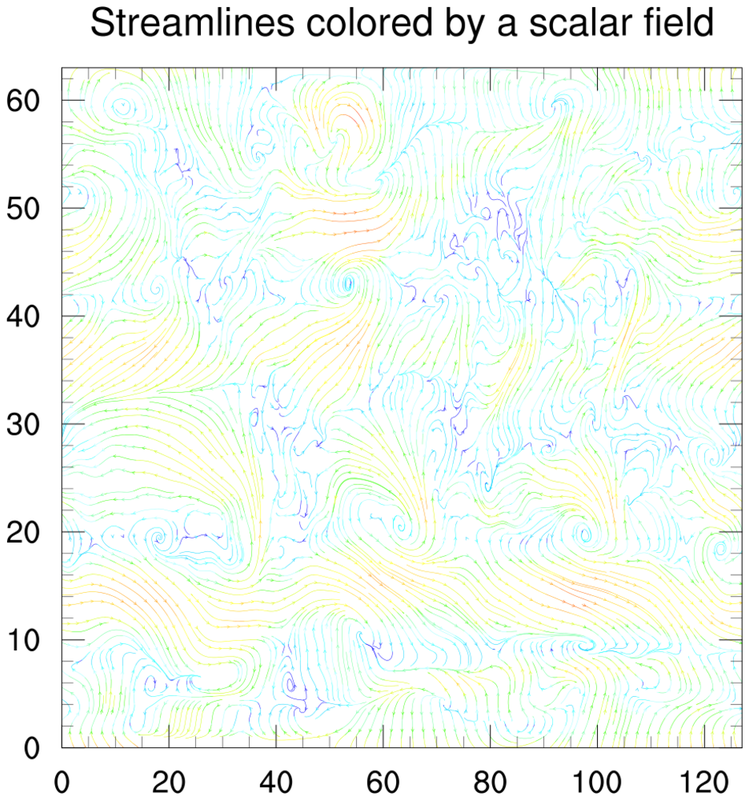 gsn_stream_3.ncl: Example of a streamline plot colored by a given scalar field, using gsn_streamline_scalar. 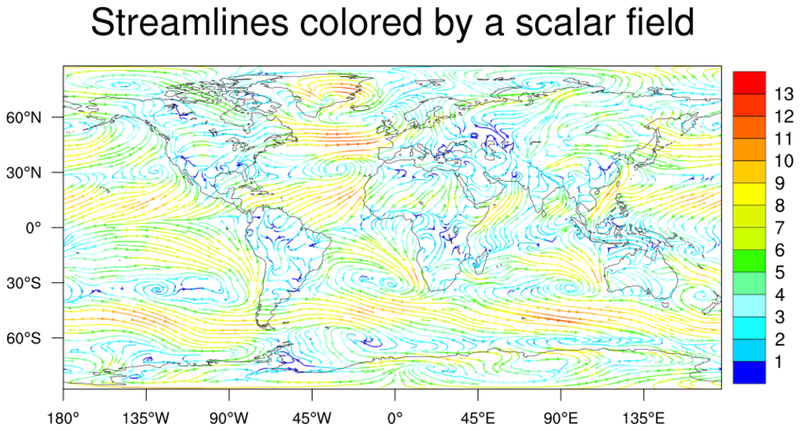 gsn_stream_4.ncl: Example of a streamline plot colored by a given scalar field and overlaid on a map. gsn_streamline_scalar_map is the function used.